Total Carat Weight: 0.40 ct. 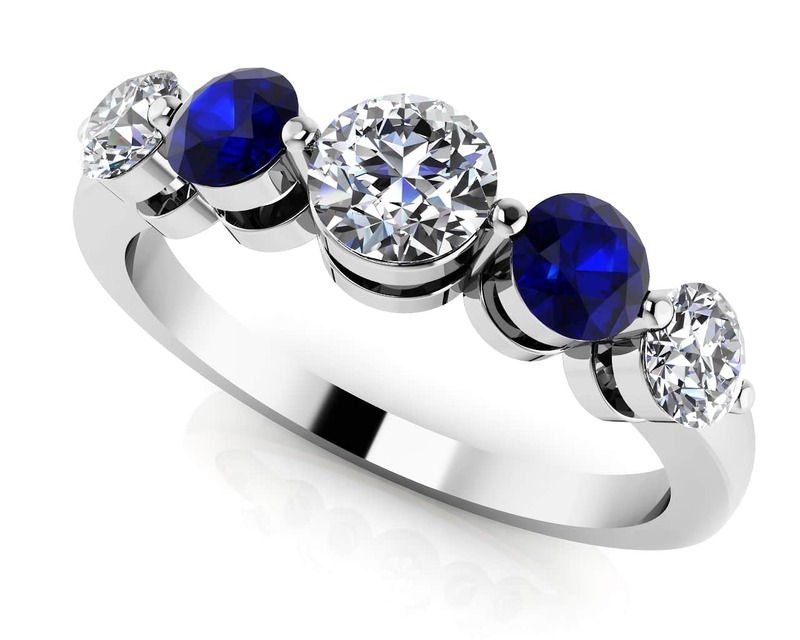 This beautiful band features three dazzling diamonds alternating with two colorful gemstones, round and prong set. 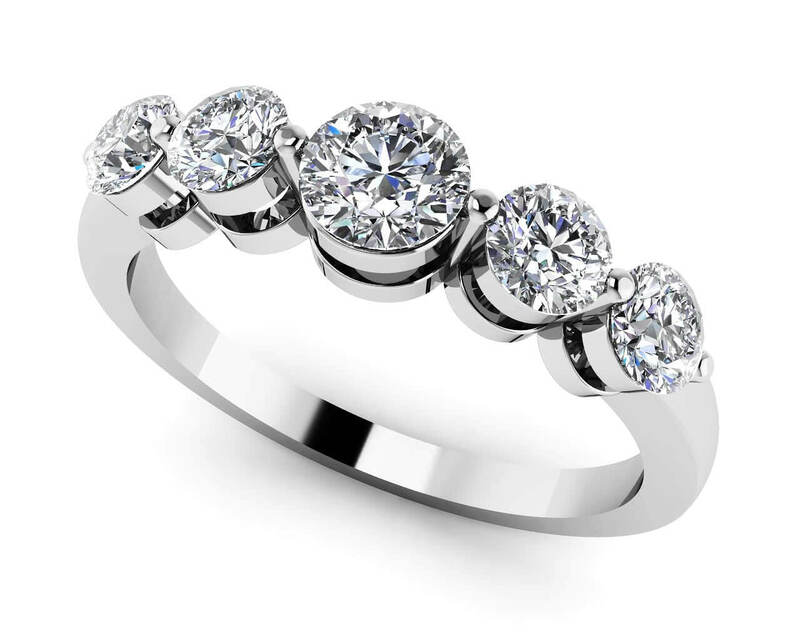 A lovely squared edge on the ring creates a ring that is both enduring and modern. 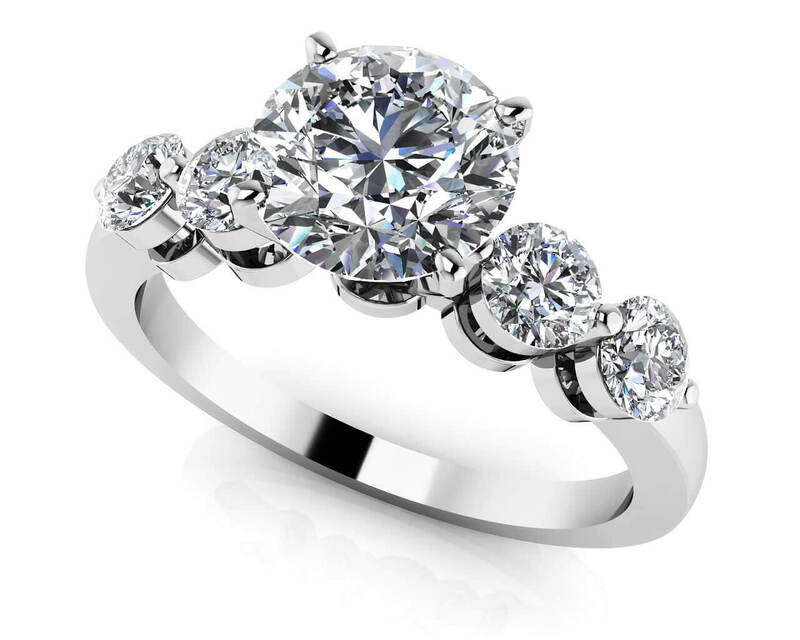 This piece is a fabulous match for many of our diamond engagement rings. It would also be a lovely anniversary band too. What a fabulous way to celebrate 5 years together! You can choose from the .40 ct. version or the .67 ct. version, favorite gemstone and choice of gold or platinum. Either way, the band is a contemporary addition to your jewelry wardrobe! Model Carat Weight: 0.40 ct. Effective Carat Weight: 0.40 ct.
Stone Carat Weight: 2X0.060 ct., 2X.060 ct., 1X.160 ct.